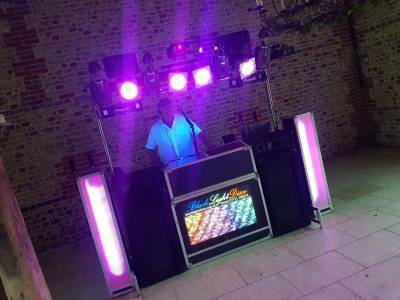 "Working With You For A Happy Memorable Event"
Black light disco started way back in 1985 using good old vinyl records & coloured incandescent light bulbs, along with a lot of Ultraviolet light & fluorescence. 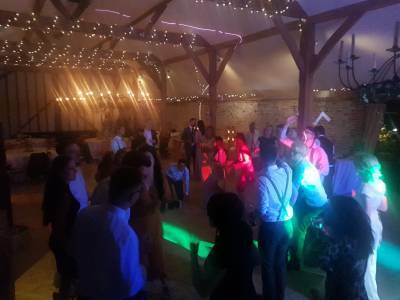 Times & technology have moved on, allowing us to make use of digital systems to control our lighting & sound, to provide the right ambiance for your event - from low key background to full on night club style entertainment. We can cater for most types of musical tastes having amassed a comprehensive collection of music over the years that thanks to the wonders of computers travels with us to every event. We are only too happy working with your own dedicated playlist if you choose, & are always prepared to take requests as we work. The one thing that will never change is our commitment to providing good old fashioned customer service working with you, tailoring our service to meet your events needs . Required by many venues, Black Light Disco has a current PLI policy with Mobile DJ Network in the amount of £10 million. Also required by many venues, Black Light Disco has supplied satisfactory evidence of holding current PAT inspections of their equipment dated within the last 12 months. A Method Statement outlining Black Light Disco&apos;s Health & Safety procedure for setting up disco equipment has been provided. Why do people choose to book Black Light Disco? As a lions club we always try where possible to support locall business. He knew the venue and seemed to quickly understand what we needed for our rather elderly guests! "Great service - thank you Richard !!" "Thanks. Great evening - lovely crowd. Glad we were able to contribute to you celebration." 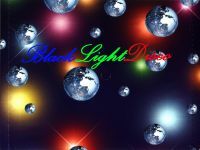 "I cannot recommend Richard Crawford and his Black Light Disco highly enough. He was superb. Nothing was too much trouble for him. He was professional, friendly and the music and lighting made our party! A TOP SERVICE!!!! " "Thanks for your kind feedback. It always helps us when we have great clients who are as easy to work with as yourselves. Regards Richard & Simon"
"First year that all the customers were up dancing, Brilliant"
"Thanks for your kind words. Great guests always make our job easier. Thanks for booking us again for N.Y.E. this year"
"Absolutely chuffed , exactly what I wanted , would highly recommend 5 star service." "Thanks for your lovely feedback. Great crowd - we enjoyed our evening as much as you did - We aim to please. Regards Richard & Simon (BLD)"
"Couldn't fault in any way would definitely use again in future!" "Thanks for your kind feedback. We always aim to give our best. Wishing you both a very happy future together." 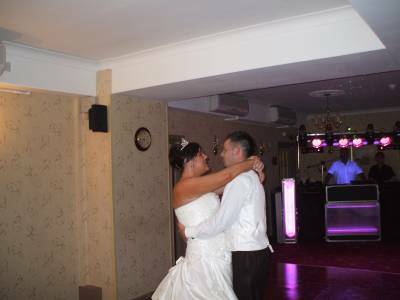 Get FREE no-obligation disco quotes from Black Light Disco and other DJs covering your venue. Take 2 minutes to fill in some basic details and we'll do the rest! If you are contacting Black Light Disco about an event, it's always a good idea to include the DATE, LOCATION, EVENT TYPE, AGE GROUP and TIMINGS to speed things up!